All Areas are now full and we are no longer accepting additions to the waitlist. Registration for the 2020 course will open on July 15, 2019. Step #1 Instructions: After you review the course fees, required text and optional compass costs below, click on the button at the bottom of this page to proceed to the online course application and… Get Started! Payment: Course fees can be paid with a major credit card via PAYPAL. If you are paying for more than one person, you must fill out separate forms for each and pay separately. We do not accept any credit card payments by phone. 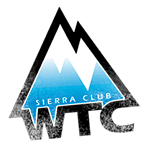 *Sierra Club membership is not required to take the WTC course. However, we would like to offer you the opportunity to join the Sierra Club if you are not already a member. Required Text: The required text is “Mountaineering: Freedom of the Hills” (current edition) by The Mountaineers. The text price with your online application is $25. The text may also be purchased at the first class – subject to availability – at the same price. You have the option to buy the text at book retailers or online vendors separately if you wish to. Optional Compass : WTC is pleased to offer their students the option to purchase a professional mirror compass at a reduced cost. The Suunto MC-2 compass is perfect for taking bearings and normal direction with the adjustable declination correction scale. Each student is required to have a compass and these compasses have all of the features that are important in mountaineering. Click here for additional details about this compasses. The compass price with an online application is $45. If there is remaining stock on hand, the compass may also be purchased at the class. (2) a 50% refund after full refund date and before the end of Lecture One for the Area they registered in. No refunds made after end of Lecture One. Course Schedule: Click here to review the class and outing schedules. The minimum age is 14. Anyone under the age of 18 must be accompanied by a parent or legal guardian during the entire course. Please see our FAQ page for more information re enrollment of students under 18. CST #2087766: Registration as a seller of travel does not constitute approval by the State of California. California has established a Travel Consumer Restitution Fund (TCRF) under the California Seller of Travel Act. The TCRF is not applicable to these Outings. The law requires us to advise you that you would not be eligible to make any claim from the TCRF in the unlikely event of default by the Sierra Club. California law also requires certain sellers of travel to have a trust account or bond. The Sierra Club has such a trust account.